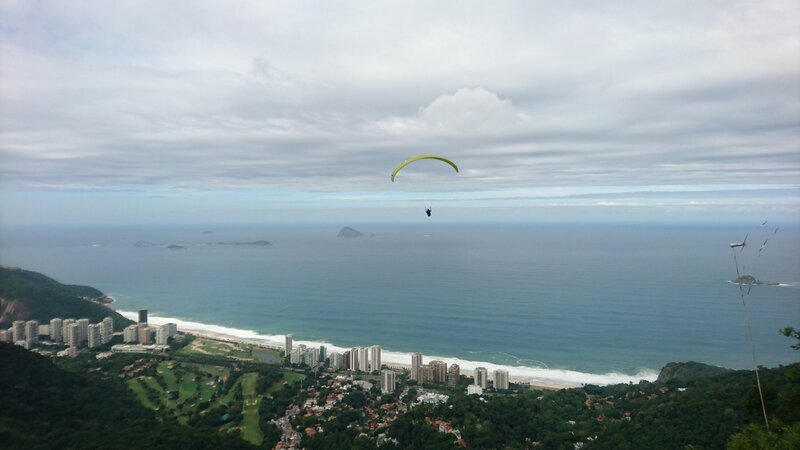 Paragliding over Rio de Janeiro is just one of many life-changing experiences on offer here and this South American jewel is bursting with them. Not only is this supermodel of a city good looking, it has an amazing personality to boot. Yes it has stunning beaches, colonial charm and arguably the best nightlife in the southern hemisphere, but it’s the city’s soul that you’ll fall in love with. Rio will grab you with its insatiable lust for life and shake you. It’s energy and live for the moment attitude are so addictive you will never quite recover. Here are five amazing things to do in Rio de Janeiro that will change your life! 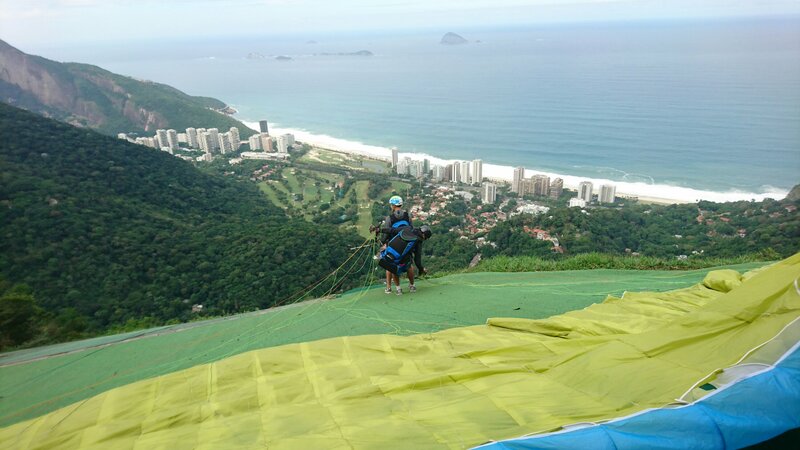 There’s nothing like the adrenalin buzz of throwing yourself off a 500m mountain and luckily Rio has plenty of them. Not only is paragliding an accessible way to step out of your comfort zone, but the experience also provides uninterrupted, 360 degree views of the city. No selfie sticks (apart from our own), no other tourists, just you strapped to a handsome stranger drifting peacefully over the most beautiful city on earth. There are plenty of tour companies to choose from. We went with Justfly Rio who were very professional. We paid £130 each which also gets you transport to and from the launch site, plus a disc of photos and video so you can relive the adrenalin rush again and again! 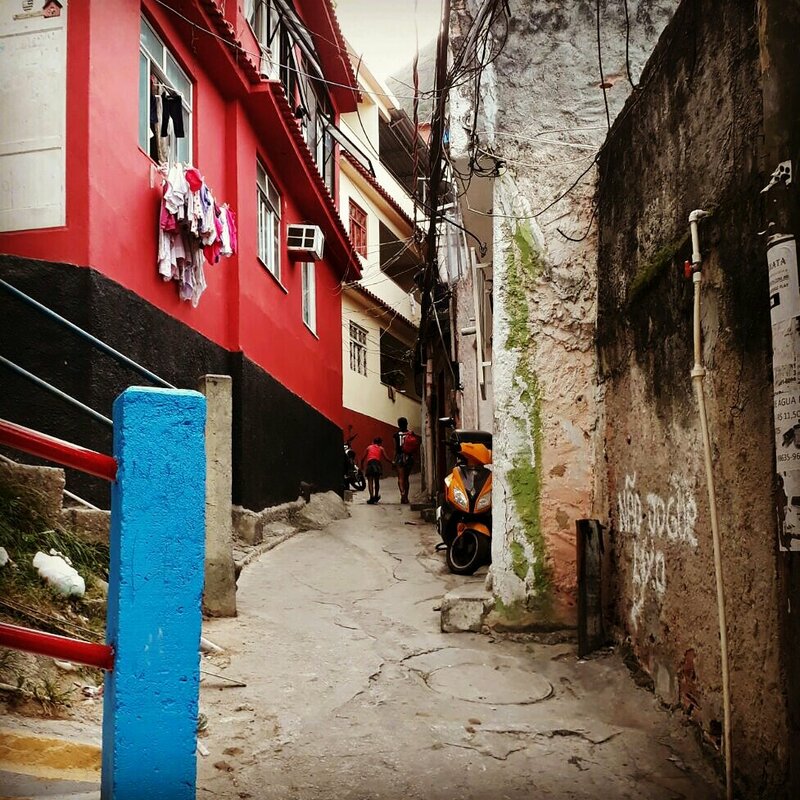 Brightly coloured boxes spilling over lush hills, Rio’s favelas are an inspiring example of how the city’s poorest community have created something from nothing. Narrow alleys adorned with impressive street art snake between tin shacks painted in rainbow colours and decorated with flower pots made from plastic bottles. 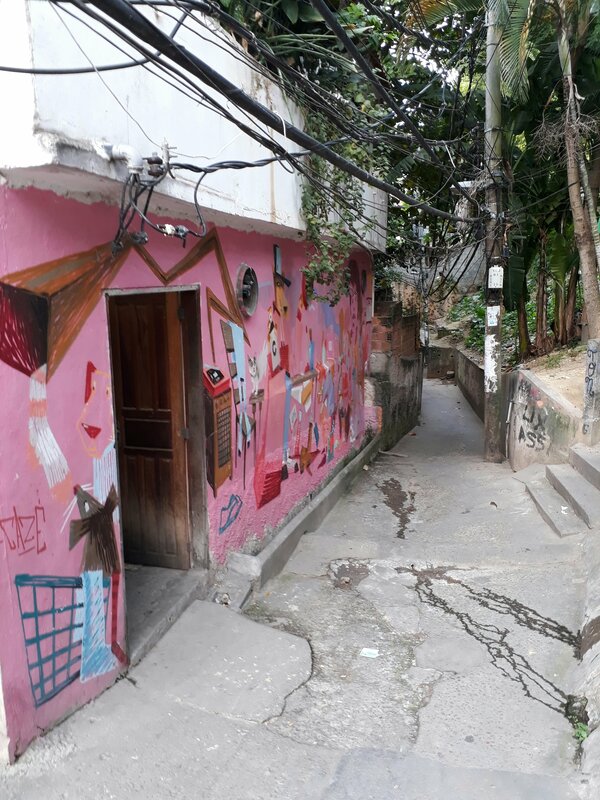 Many of Rio’s favelas have now been pacified making these fascinating communities accessible to travellers for the first time. You can book with a tour operator or for a more authentic experience go it alone but be respectful and alert. Don’t take photos and don’t venture too far into the maze of alleyways. 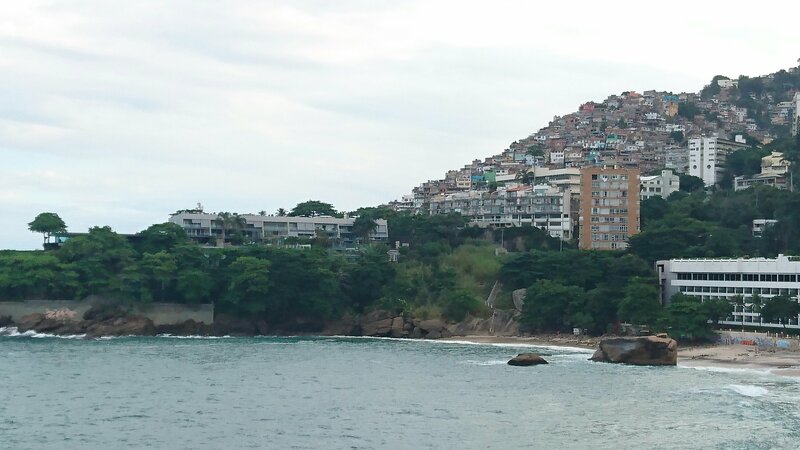 We visited Vidigal favela, one of the first to be pacified in 2011. You’ll leave with a newfound appreciation for what you’ve got and respect for the creativity of those who don’t have as much. Even if you’re not a believer there’s something truly spiritual about Rio de Janeiro. Neither Rich or I are particularly religious but from the moment we caught sight of the iconic statue illuminated in the dark, overlooking the city, we had a sense of serene contentment – or maybe that was the caipirinhas! 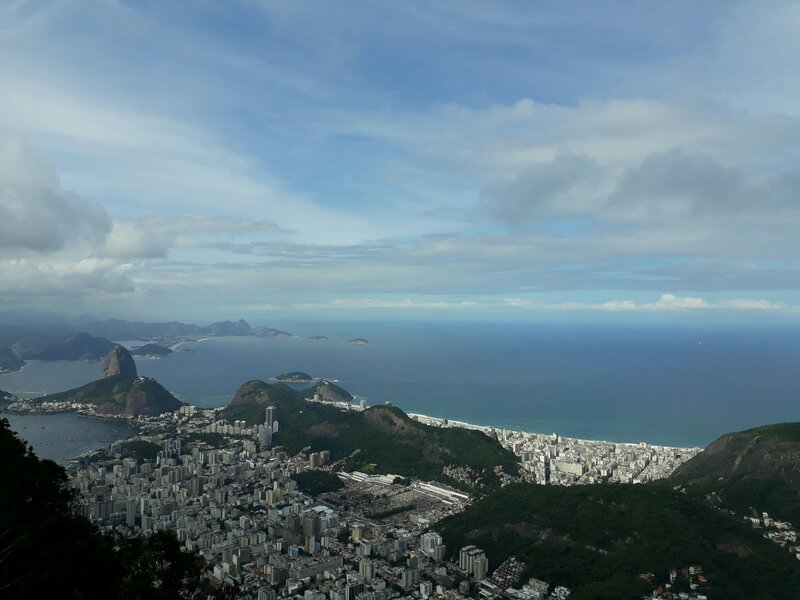 Hundreds of people travel by van or train up to the famous statue every day, but for a more rewarding and budget friendly experience, hike there through the Tijuca rainforest. This pristine patch of jungle on the edge of the city is claimed to be the world’s largest urban forest and is packed with wildlife including monkeys. 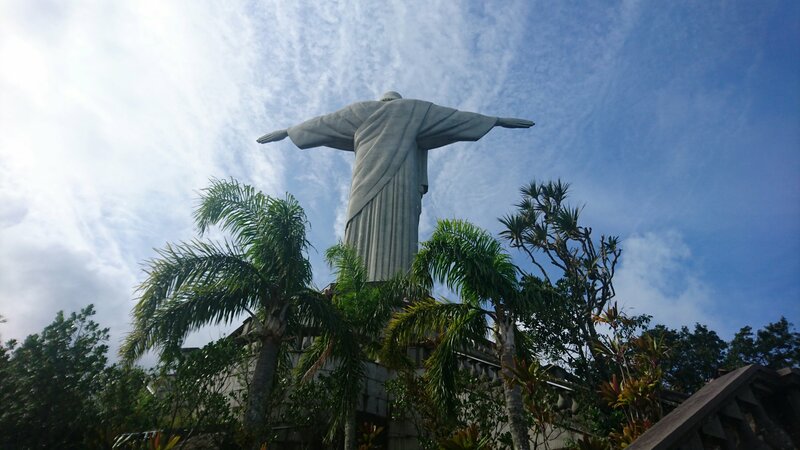 It’s a beautiful 2 hour hike from Parque Lage and when you emerge breathless at the top and stand at the feet of this imperceptibly huge Rio landmark it will seem all the more awe-inspring. Rio’s heart beats to a samba rhythm and experiencing a live samba band is the best way to really get under the skin of this soulful city. 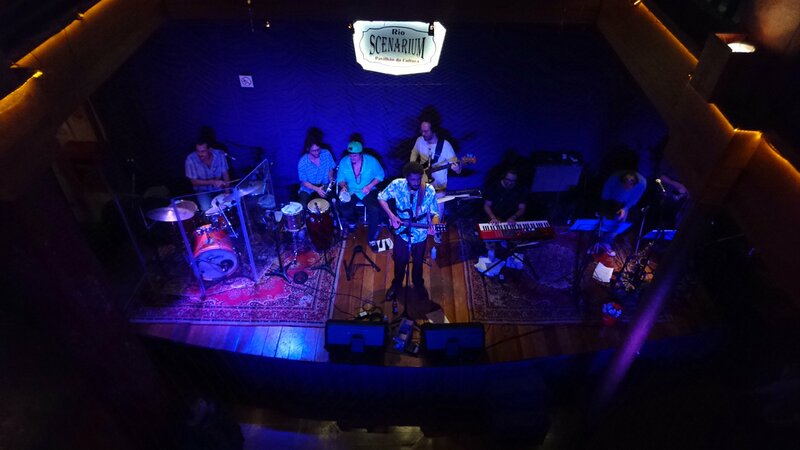 Let the music wash over you and transport you to a serene world of beautiful people where the drinks flow freely and the mundane melts away with the wail of the trombone. Rio Scenarium, in the Lapa district, is one of Rio’s most photogenic and fascinating samba clubs. Spread over 3 floors with multi-level balconies overlooking the band, it’s packed with art and quirky antiques. Take to the dance floor and learn some samba moves or sit back and enjoy a cocktail while marvelling at the local dancers. Entry is £10. An evening here is unforgettable and your heart will never quite beat in the same way again. Observing the smiling locals enjoying Rio’s perfect golden beaches is like a lesson in life. 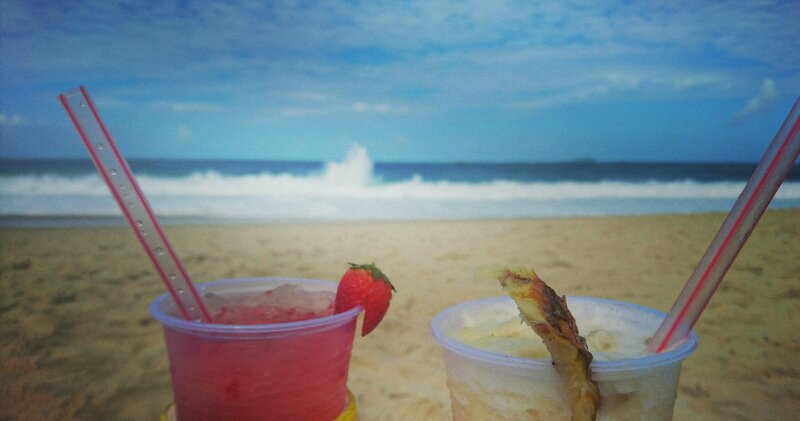 Their carefree, live in the moment attitude is infectious, like the 90-year-old grandma jumping waves in a hot pink thong or the loved up couples sipping caipirinhas from one of the many beach shacks. And there are plenty of beaches on which to take your life lessons. 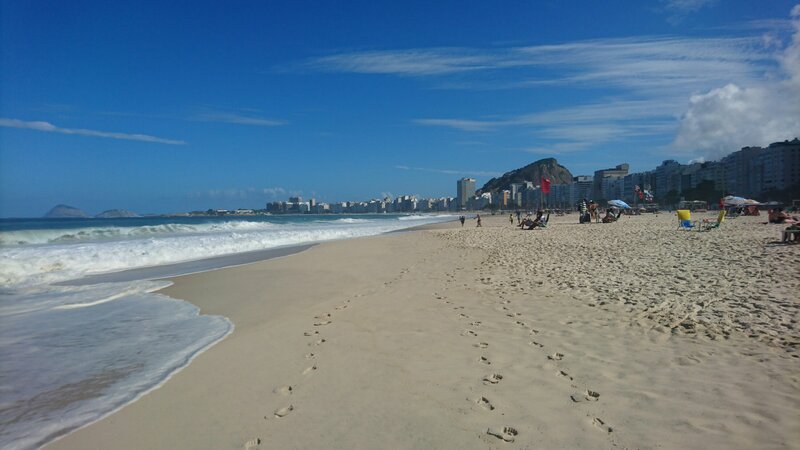 Curvaceous Copacabana beach flanked by soaring granite peaks is a good place to start. From there you can reach powder white Ipanema beach around the corner and further afield, lesser known Prainha beach. After a day on the sand, you’ll count strangers as friends and have a new outlook on life that will hopefully never leave you. 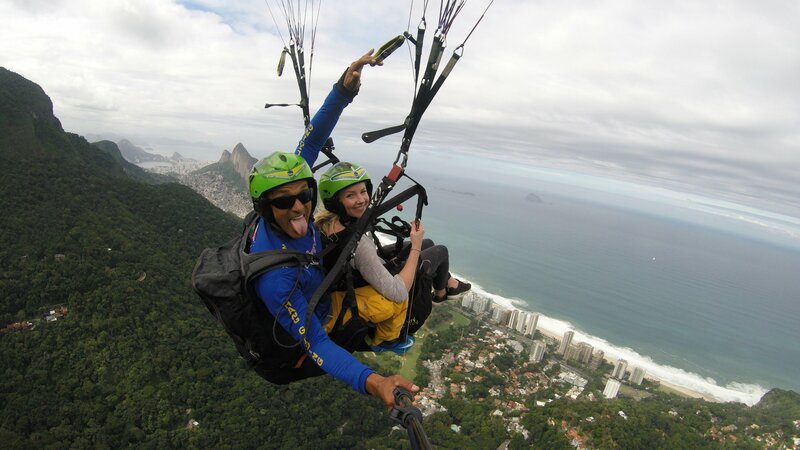 So there it is: five amazing things to do in Rio de Janeiro that will change your life! Yes it’s a bold statement but once you’ve experienced Rio’s seductive energy and zest for life you’ll know that the city leaves a lasting impression. If you’ve been to Rio de Janeiro or have any tips to share let us know in the comments below or drop us can email. And don’t forget to hit the follow button below for more travel tips and guides! Love the way you describe Rio – it’s so colourful and I can hear the beat of the samba rhythm playing in the background! Rio sounds amazing. Just the place for couples like yourselves with a zest for life!